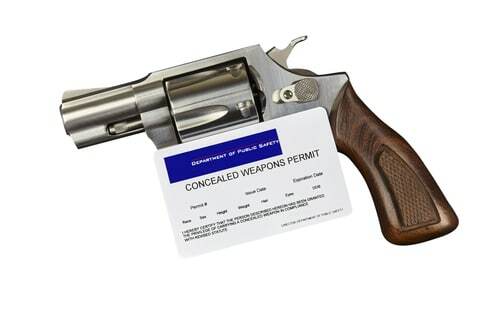 What is a Firearms Permit? There are a handful of States today that do not require a permit to own or carry a firearm. Some states allow open carry while others only permit Concealed Carry. Illinois is one of the most restrictive states. Also holding the dubious honor of being the last state that permitted people to arm and defend themselves. With cries of , “The street will be like Wild West” from many of our politicians, we trudged forward into “Uncharted” territory in our great state. I was one of the first group, just behind the instructors to obtain my permit. I have carried every day since. To me, that seems extremely more restrictive than having access to a computer. I believe “The Big Picture” was missed by our politicians on this one! Somehow it seems that “Lower Income” folks will find it much harder to exercise their RIGHT due to money rather than internet access. The State now has introduced a paper process to obtain a permit, so all is good in our State! Once all of the required information and fingerprints have been submitted to the state, as well as the $150.00 dollar fee, the wait begins as your background is checked. State Federal and local Law Enforcement agencies are notified of your application. Each body has 30 days to investigate and approve, by no comment, or protest your application. If one of the agencies protests, your application goes to a specially formed review board for a final decision as to whether or not you will be issued a permit. As of the writing of this article, an individual is not allowed to be at that hearing….go figure. Total elapsed time is mandated at 90 days by the State. I received mine in a little over 60. I must give credit to our State Police. They were very proactive in being prepared for this process and had their website up and running properly with very few glitches reported. There is even a portal on the State’s website to check the status of your application, a portal that I must admit that I checked almost every day! Happiness happened about 3 days before it showed up in the mail, with an “Approved” status appearing in the all important window. Pay special attention to all the details, proper size photo, copy of your FOID card, electronic fingerprint attachment and most importantly payment. All your information must match! If there is a misspelling or a number off, your application will be denied on those grounds and you have to start the process all over again. Despite the costs involved, I found it important to exercise my Second Amendment Rights in a state that had denied them since my birth. Good luck and prepare! Hey Buddy!, I found this information for you: "Firearms Permit". Here is the website link: https://thegunrights.com/firearm-permit/. Thank you.